All Foster City homes currently listed for sale in Foster City as of 04/23/2019 are shown below. You can change the search criteria at any time by pressing the 'Change Search' button below. If you have any questions or you would like more information about any Foster City homes for sale or other Foster City real estate, please contact us and one of our knowledgeable Foster City REALTORS® would be pleased to assist you. "EXTENSIVELY REMODELED 4BR/2.5BA WATERFRONT HOME WITH BOAT DOCK!. MASTER WITH LARGE WALK IN CLOSETS & BALCONY. THIS IMMACULATE HOME FEATURES A SPACIOUS FAMILY ROOM, AN GOURMET KITCHEN WITH STAINLESS STEEL APPLIANCES AND EAT-IN DINING AREA, HARDWOOD FLOORING DOWNSTAIRS AND CARPETING IN THE BEDROOMS. THE BACKYARD HAS A HUGE DECK PERFECT FOR ENTERTAINING AND SPORTS A BOAT DOCK! CONVENIENT LOCATION, CLOSE TO MANY FOSTER CITY AMENITIES!." "PLEASE DO NOT GO B4 SAT. OPEN HOUSE.Phenomenal updated water front home.The boats and ducks swim by as you BBQ on the patio.Spacious,sun drenched rooms.Tastefully upgraded,new floors,exterior windows,doors,baths,stair railings,quartz counters & stainless appliances.Walk into a large entryway that opens onto living room with high ceilings, fire place and step down cozy area. Bright dining room, chefs kitchen with a pantry opens onto family room.One of the largest homes in Foster City with 4 comfortable bedrooms.Walk to pool & playground. HOA covers exterior maintenance,landscape,fence,roof & common area insurance,& pool. HOA documents provided. Centrally located between S F, Silicon Valley and East Bay. Great Foster City schools. An abundance of jogging & bike trails and parks. Close to airport, shopping , restaurants, Caltrain. EZ access to 92 and 101 freeways, major companies (Visa, Gilead, Oracle, Electronic Arts, SalesForce, fitness clubs. Welcome to paradise!" "Built in 1963, this rarely available DUPLEX in Foster City's Treasure Island neighborhood is well maintained, professionally managed and offers excellent cash flow. Unit 645 is a 2-bedroom/2-bath apartment with approximately 1174 square feet of living space. Unit 647 is a 3-bedroom/2-bath apartment with approximately 1433 square feet of living space. Both units have a large 2-car garage with ample storage and washer/dryer available. Current rents are $7200 monthly. Excellent Foster City schools complete the opportunity. Please do not disturb tenants. Floor plans, photos, inspections, etc will be available by 9/2/18 or sooner. As-is sale. Offers reviewed as presented. Contact Dino Virella for more details." "Desirable ranch-style 3 bedroom, 2 bath home in sought after Foster City Community. Formal entry, step down spacious living room with bay window and separate dining area. The open floor plan includes eat-in kitchen featuring vinyl plank flooring and adjacent family room with sliding glass door to access the low maintenance rear yard and patio. There is engineered hardwood flooring in the living, dining and family rooms. Updated bathroom with double sink and granite counters. Centrally located between San Francisco & Silicon Valley with award winning Foster City schools, Beach Park Plaza and the bay levee trails." "Welcome home to 1083 Egret, a beautiful Eichler on the edge of Foster City, adjacent to the San Francisco Bay Trail. Step through the front door into an open-roofed atrium filled with mature foliage and the sound of birds chirping. A spacious living and dining room combo with wood-burning fireplace is the central meeting area inside the home. Expansive eat-in kitchen with pantry and bonus room. The private master suite retreat features large closets, an updated bathroom and access to the back yard. Entertaining is easy on the outside dining patio shaded by a variety of trees and plants. The garage features a versatile cabinetry system offering loads of storage and a work bench. Dual paned windows throughout. Close to public transportation and amenities. Top-rated Foster City schools. Worth a viewing!" "3 Bedroom unit on The Islands! Rare opportunity to own this spacious and bright property. Open floor plan with 2140 sqft of living space. Completely remodeled in 2014 with all the bells and whistles. Vaulted ceilings with a grand skylight that welcomes the sun into the dining room. Updated kitchen with an island perfect for entertaining. Dual zone stereo system with built in speakers and receivers plus a large built in flat screen above the fireplace. Deck looks out to a serene open water view. Hardwood floors throughout and radiant heated tile floors in the bathrooms. Large spacious master bedroom with vaulted ceilings and skylights in the master bathroom to bring in plenty of natural light. 2 car garage downstairs with plenty of storage with an additional 3rd outdoor parking w/permit. Enjoy the 4th of July fireworks from the comfort of your home." "Truly amazing home beautifully remodeled to perfection! In a peaceful and tranquil location, this sunny and bright Winston Village end-unit townhome has a private entrance and front yard. Open kitchen/dining room and large bright living room with high ceiling. Meticulously upgraded kitchen w/granite countertops, new backsplash, stainless steel appliances. New bathroom vanities w/quartz countertops, light, and tile floor. Brand new modern laminate floor, interior paint, and LED recessed lights. Spacious professionally landscaped backyard and attached side-by-side 2-car garage. Walk to great Foster City Elem, Catamaran & Farragut Park, shopping malls. Easy access to HWYs 101 & 92." "Dont miss this exceptional 4 bedroom, 2.5 bath home. Modern interior professionally designed, remodeled & upgraded to perfection! Relax in the luxurious spa-like bathrooms. Cook your favorite meal in the meticulously upgraded kitchen featuring top-of-the line Jenn-Air stainless appliances & six-burner gas stove/convec oven. Entertain friends around the built in bar with wine fridge, custom wine rack, & glass storage. Enjoy your favorite book in the living room by the elegant natural stone gas fireplace. Walk outside to the expansive private patio perfect for entertaining, or enjoying morning coffee while overlooking the lush manicured greenbelt. A true park-like setting in your own back yard. The home has great flow with large, well placed rooms. Fresh paint, double-glazed windows & recessed lighting throughout. Extra large high end LG washer/dryer & high capacity water heater. 2 car detached garage has tons of built in storage. Many designer touches and upgrades you must see!" "The only stand-alone home in Winston Village is now on the market! This updated 3 bedroom 1.5 bath 1460 square foot home was the original model home and shares no walls with other units. Upon entry you will notice the open floorplan with vaulted ceilings, numerous windows allowing natural light, and a wood burning fireplace. The updated kitchen includes cherrywood cabinets, a new Thermador built in refrigerator, Italian tile and Zodiaq Quartz countertops. The recently updated master bathroom makes excellent use of Calcutta marble with oil rubbed bronze finishes. This home features a large fenced back yard that is adjacent to the open area and park. Winston Village is a highly sought-after community with spacious common areas, a pool and clubhouse. 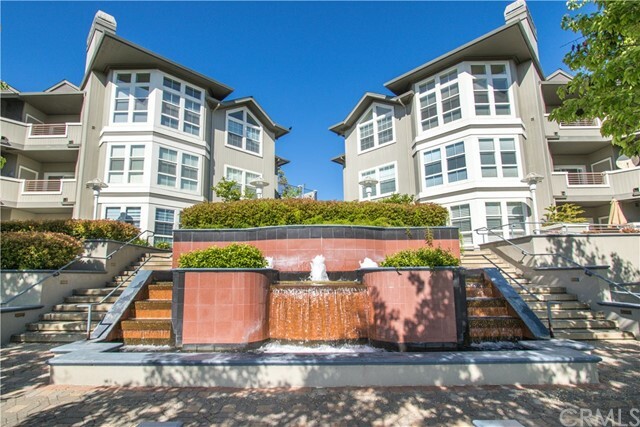 Easy access to San Mateo Bridge, Highway 101, shopping, parks and top schools. The home has a detached two car garage, plenty of off street parking and is an easy walk to the waterfront and all that Foster City has to offer." "Spacious 3rd floor condominium in highly sought after Foster Square, an over 55 community in the heart of Foster City, right across the street from the Recreation Center and Leo Ryan Park, next to the Foster City Library, and just a short stroll to Safeway, CVS and numerous restaurants and other conveniences! Secure elevator access to your private entryway into this 1,653 sq ft condo with two bedrooms, two baths, including master suite with partial views to the park, main lagoon and beyond, plus den/office, huge living/dining room, balcony, walk-in closets, tankless water heater, laundry in unit, high ceilings with recessed lighting, and gourmet granite kitchen with large island and more! Ready to move right in! According to Lennar, HOA should be lower once community buildout is complete." "Ready to move into this light & bright 3-bed / 2.5-bath Bayfront Court townhome w/ greenbelt views? Blending sleek elegance w/ comfort & style, the living areas feature vaulted ceilings, hardwood flooring, & wood-burning fireplace. Enjoy a remodeled kitchen w/ granite countertops, stainless steel appliances, & the balcony off the living room for entertaining. The house has been freshly painted w/ new wall to wall carpet, & has upgraded light fixtures in the dining room. The gracious upper-level Master Suite features a new dual vanity, wall-to-wall mirrored closets, tub & stall shower. The lower level contains two additional bedrooms, a full bathroom, side-by-side laundry area & access to the lower-level private patio off the greenbelt. Outdoor common areas beckon w/ community walking paths, private sandy beach, clubhouse, swimming pool & spa. A short walk to miles of biking & hiking paths along the Foster City waterways, parks, & wetlands, not to mention great Foster City schools!" "Beautiful sunny and bright end-unit townhome in the highly desirable City Homes West community. Modern floor plan with high ceilings, two master suites and ample living space. Large windows and sliding doors providing lots of natural light. Living room featuring fireplace and laminate flooring. Separate dining area adjacent to the eat-in kitchen with plenty of cabinet space. Convenient inside laundry and attached 2 car garage. Close proximity to shopping, top rated schools, parks and other amenities. Easy access to highways 101 & 92." "BEST VALUE in Foster City! Perfectly lovely! Updated and delightful from top to bottom. This home has modern style and sophistication with spa-like features." "Live in luxury at Promontory Point - The Perfect Home, whether your downsizing or seeking space for your extended family. Expansive living space all on one level! 3 bedroom, 2.5 bathroom end unit. Bright updated kitchen with eating area, family room with fireplace. Spacious living-dining room combo overlooking large deck with neighborhood views. Grand master suite with walk-in closet, bath with 2 sinks, large tub, separate shower. Second and third bedrooms share 2nd bathroom with shower over tub. Separate laundry room. Extra storage room and secure gated 2 car parking spots on ground level. Beautiful atrium with 2 glass elevators, recreation room with kitchen, pool, spa and gym. Enjoy the Bay Trail, waterways, parks, shopping, great schools." "Situated in the best location in stylish Meridian Bay, this picture perfect home is luxury at its best with an open floor plan & light filled atmosphere. The updated features include granite countertops, plantation shutters, surround sound system &recess lighting. The breakfast bar makes entertaining effortless. Spacious living room is a great place to unwind with a good book by the fireplace. The patio catches the sun beautifully for a relaxing morning. Large master suite has ample closet space and dual bathroom sinks. Amenities include renovated clubhouse, sauna, conference room, community kitchen, gym, playground, and pool/hot tub. Highly regarded Foster City schools, outdoor activities, easy access to SF & Silicon Valley." "RELAX, YOU'RE HOME! Rare three bedroom, END UNIT condo with best location in complex, next to the pool and clubhouse*Feel like you are on vacation every day with unobstructed water views from every room*Tons of natural sunlight pours in from the extra windows! Spacious eat-in kitchen with granite countertops. Spacious living room with dining area that leads to a custom enclosed patio that's great for entertaining with breathtaking views of the water lagoon. Three spacious rooms bedrooms include master suite with walk-in closet and full green belt and water view*Features include, new flooring throughout, newly painted interior, and in-unit laundry*One of only a few units in complex with enclosed balcony, perfect for those breezy nights*Huge in unit storage area, only 3 bedroom units have*All appliances included* HOA dues includes basic cable/pool/spa/club room/boat dock & trails along the lagoon*Close proximity to parks*convenient location to SF/Silicon Valley*Top rated FC schools!" "Top Floor, Modern, Bright So. East Exposure & Spacious 1,350 sqft +/- Condo! Relaxing Balcony w open View of the East Bay Hills and Tree Top Foliage! The High Ceilings and Open Floor Plan gives a feel of Penthouse Lifestyle! Functional Kitchen, appointed w all built-in quality Stainless Steel newer Appliances, lots of Cabinets, long open Counter space near the Eating Area by the Balcony! Living Room has High Ceiling, High Windows, Colonial Shutters, plenty of Light & great View. Relaxing Balcony w View of the East Bay Hills and Tree Top Foliage! The generous Master Suite has High Ceiling, Walk-In closet, its owns in Suite Bathroom with Shower, double Vanity, & newer Champion 4 Commode! Laundry in Unit w newer Wshr & Dryer! (2) Deeded Pkg Spaces, plus (32) Guest Parking spots, large Pool, Spa, Gym, Sauna, spacious Club House w Frplc., wet bar, Kitch., Meeting Room, & Rest Rooms. Away from Hillsdale Blvd. yet close walk to Safeway, CVS, Ryan Park, Bridgepoint, Restaurants, etc.."
"Bright and beautiful condo on the top floor of the luxurious Meridian Bay community. Newly upgraded kitchen with quarts countertops, tile backsplash, and stainless steel appliances. Airy and spacious living area with high ceilings, huge windows, and open floor plan. The balcony is perfect for a BBQ or relaxing with a book and a glass of wine. Community has several amenities including a pool, spa, sauna, gym, clubhouse, and peaceful courtyards filled with foliage and water features. Come check it out for yourself!!!" "This rarely available single-story floor plan features 2 bedrooms and 1.5 baths over approximately 980 square feet of living space. It has an excellent location as an end unit in the Treasure Isle II neighborhood of Foster City with lovely indoor and outdoor spaces. The living room is bright with a vaulted ceiling, skylight, cozy electric fireplace, and sliding glass doors that open to the front garden. The remodeled kitchen includes stainless steel appliances, cherry-hued wood cabinetry topped with marble slab countertops, and a convenient island with additional storage. Private, fenced rear yard has gorgeous mature landscaping leading to detached two-car garage with attic storage, and pool access as part of the HOA. Outstanding location! Steps to shopping and dining at Beach Park Plaza Shopping Center and waterfront walking and biking on the San Francisco Bay Trail; close to top-rated schools and parks; and easy access to commuter routes. This stunning home is sure to impress!" "Beautifully updated highly desirable ground level 3-bedroom condo features a gated entry to a courtyard patio. The spacious living and dining rooms have wood floor and sliding glass doors to the patio. The tastefully remodeled kitchen features granite counters and marble floor that is also on the entry and hallway. There are three bedrooms, including a master suite with sliding glass doors to the patio and a full updated bathroom, plus a full bathroom in the hallway. In-unit washer/dryer, 2-car carport with storage located right into the unit, community with 2 pools and a clubhouse. Walk to PJCC w/top notch gym & classes, shopping and parks. Major employers nearby include Gilead, Visa, Sony, EA & Oracle. Quick access to Hwy 92, 101, 280, and 880. HOA dues include water, garbage & gas. Award winning schools!" "No need to look any further! Beautiful, spacious, updated and move in ready! Rarely available and in demand ground level End unit, sun filled condo! A large living room with a fire place and a dining room opens to a large size patio! Tastefully updated kitchen with granite counters and Stainless steel appliances. Separate pantry and laundry room. Two updated full bathrooms. Large master suite with walk in closet, wood laminate floors and recessed lights. Additional storage and one carport parking complete this home. HOA dues includes basic cable and amenities such as swimming pool, spa, club room and a boat dock. Lots of extra parking area. Highly rated foster City school district. Near shops, restaurants. Easy access to HWY 92/280/101! Minutes to SFO and SJ airports and companies around the area like VISA, Gilead Sciences and many in Silicon Valley."